If you’re a Google Glass Explorer, you’re no doubt getting questions left and right about Glass. Chances are, many people want to try on your Glass, to see what the hype is about. Before you allow someone to demo your Glass, you can easily put Glass into Guest Mode, so people don’t see your personal timeline. That’s all well and good for when you allow someone to use Glass, but what if someone uses Glass without your permission? Enter Bulletproof. A lock screen for Google Glass. Now you don’t have to worry about a co-worker snatching Glass off of your desk and reading your personal notifications or worse. With Bulletproof, you can use a combination of swipes and taps on the Glass touchpad to unlock your device. As you can see above, the UI is very minimal, just like Glass itself. The text at the bottom of the lock screen slides across, confirming each swipe command. 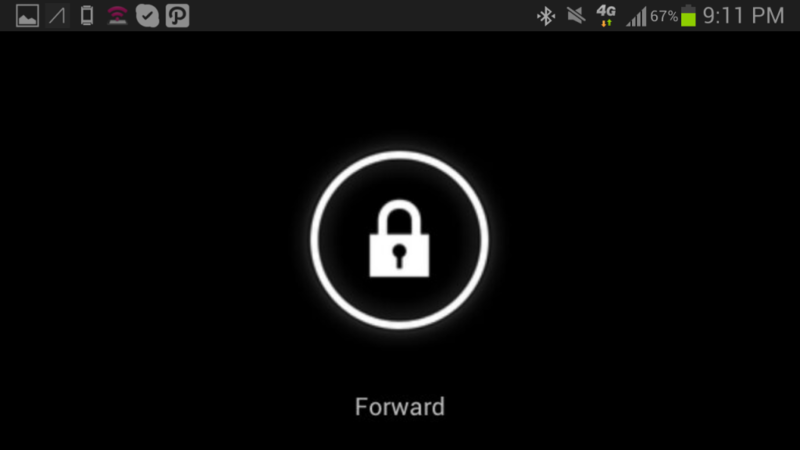 While the screenshots look similar to the Android 4.x lock screens, Mike DiGiovanni stated Bulletproof is not based on those, having been designed from scratch. Will you have to unlock Glass every time you want to use it? No way, thanks to Head-On detection. If you have Head On detection enabled, you’ll only have to unlock Glass once, that is until you take it off and put it back on again. Pretty much, I put it on in the morning, unlock it then, and I’m good until I have to recharge, take it off, or let someone try it. If you haven’t guessed it, this app isn’t a true Glass app. It’s an Android app. You’ll have to install Bulletproof by putting your Glass into debug mode and then use ADB to install it. It’s worth mentioning if you leave your Glass in debug mode, Bulletproof could easily be uninstalled if someone truly wants to get into your device. It’s best to keep debug mode off unless you’re using it. Mike has posted his work on GitHub and hopes for the community to contribute to the open source project.